One of the toughest things as a new parent is to watch your child being in distress, and not be able to do anything to help them. 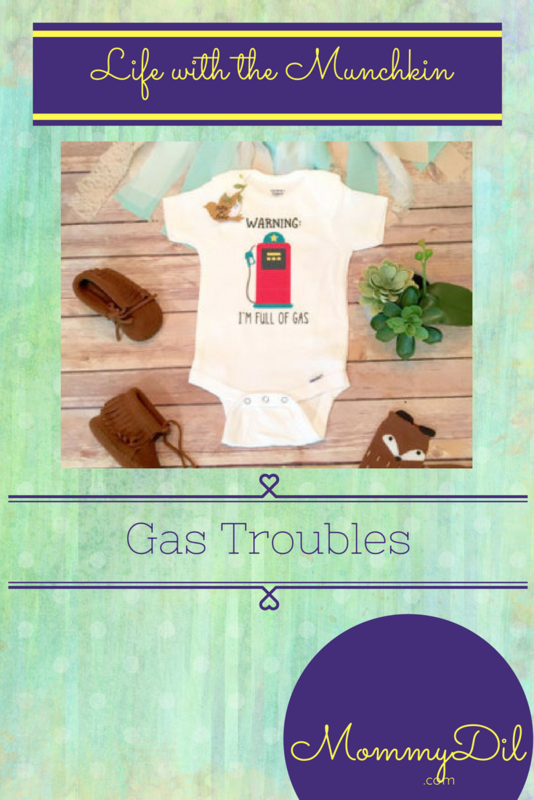 And something that most newborn babies suffer heavily from is gas! I’ve seen my baby struggle to burp or fart and cry because of the discomfort and pain; it was obvious what it was because his stomach would almost be rock solid hard. 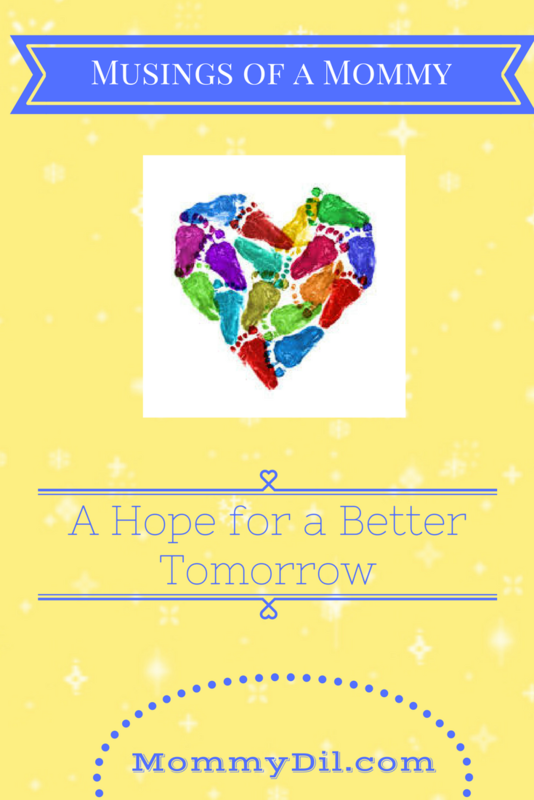 I think I have tried most of the remedies, till I found something that works well. 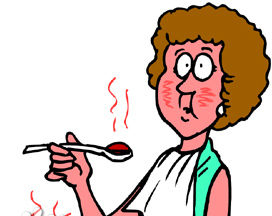 BURP REGULARLY: This is easier said than done. 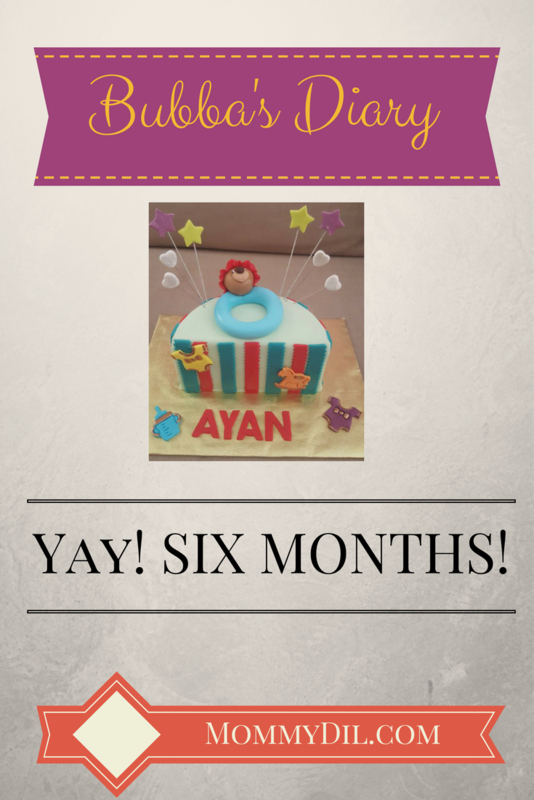 I would try and try to pat and make him burp, but usually in vain, especially in the first month. But keep at it. Sometimes you might even need to pat and walk around for 20 to 30 minutes to get that burp. You can also try sitting him down on your knee, leaning him forward and patting his back while you are supporting his neck with your other hand. The sitting technique worked better for us. 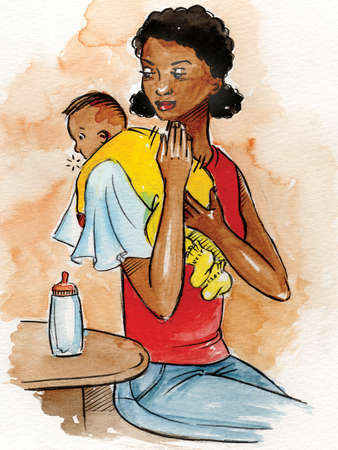 SMALLER FEEDS: It is important to give the baby smaller feeds more frequently. LEG EXERCISES: This was one of the most useful tricks in our bag. It includes cycle legs – where you move the legs around in a cycling motion, and the leg press. 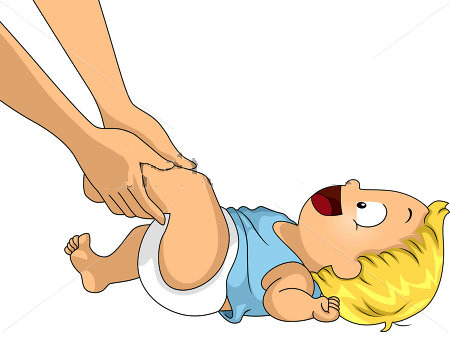 Lie the baby down and slowly bring his feet towards his head, or even bend at the knee and push toward the tummy. Doing this a few times should help. It also helps to wiggle their legs around a little. Of course, it doesn’t need to be said, but please be gentle. 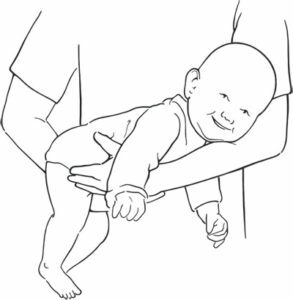 BABY MASSAGE: Gently massage the baby’s tummy in downward motions, or in the clockwise direction and also try the ILU massage. This helps move the air around, and out hopefully! TUMMY TIME: This helps as it puts slight pressure on the tummy. And it has many other benefits as well. TIGER IN THE TREE HOLD: Again, the purpose of this is to put slight pressure on the tummy to get things going. Using the other hand, gently pat the baby’s back. ANTI COLIC BOTTLES: If you have a constantly gassy baby, then anti colic bottles are a must. Many leading brands including Avent and Dr Browns’ do them, and can be bought at Mothercare, Babyshop and Mamas and Papas. These bottles ensure that not too much air enters the baby’s systems, and thus keeps it under control. 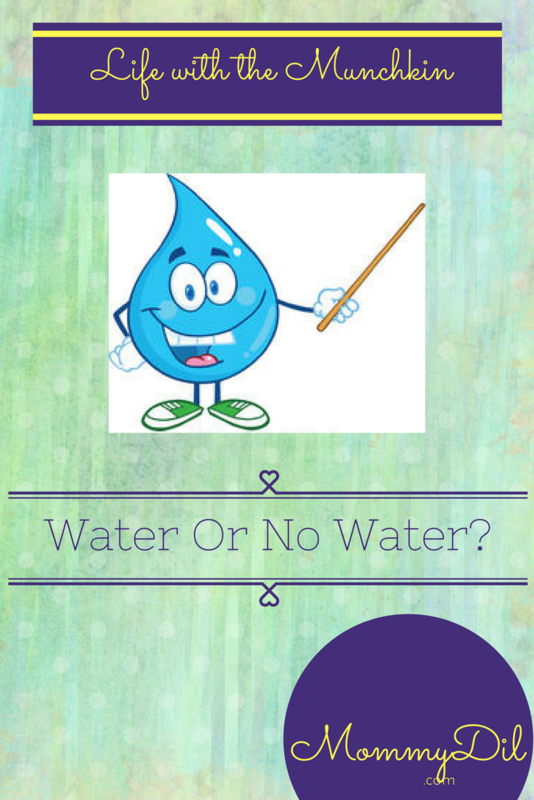 GRIPE WATER: Gripe water helped us for a while. Just a drop or two before a feed. But only after the baby is one month old. This is easily available at most supermarkets. In some countries, the gripe water contains alcohol. Obviously, not so in the GCC. 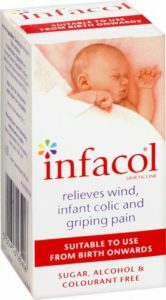 GAS DROPS: This is what we use at the moment – Infacol. You can get it from most pharmacies. 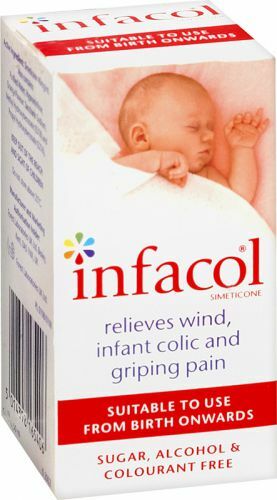 The thing about Infacol is that it is tasty, so most babies don’t have an issue having it. And we can give it as many times as required. My understanding is that it doesn’t necessarily get “digested” and into their systems. It just helps small bubbles of air, combine together thus becoming bigger and easier to expel. The active ingredient of gas drops is simethicone. So, if your pharmacist doesn’t have Infacol, ask for any simethicone based gas drops. PROBIOTICS: This is one you might need to order online, as it is difficult to find baby probiotics at the pharmacies here. The way that it works is by assisting the good bacteria in the baby’s gut. Biogaia is a popular brand, and can easily be ordered via iherb. I haven’t tried this yet though. 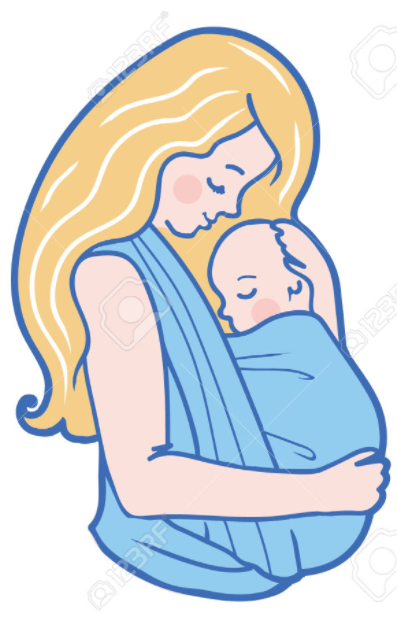 BABYWEARING OR SWADDLING: Many moms feel that this helps the baby calm down, and helps them burp easily. While I have worn my baby a few times, it hasn’t been because he was gassy though, so I cant comment on this one personally. BABY HEAT PACK: This is something I came across while desperately searching for something to help my baby with. But I must admit I haven’t tried this. This soothes the baby, and helps him stay calm, I hear. 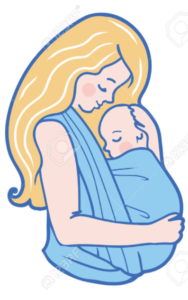 CHANGE FORMULA: If you are using formula, then it is very likely that the brand you are using is not suiting your baby. Do switch up, and look for the special ones made to help babies with gas. CRANIAL OSTEOPATHY: Chiropractors use gentle head holds and movements to manipulate your baby’s body to encourage it to function correctly. Many say that during a difficult labour, the baby goes through distress and this adjustment can help them. 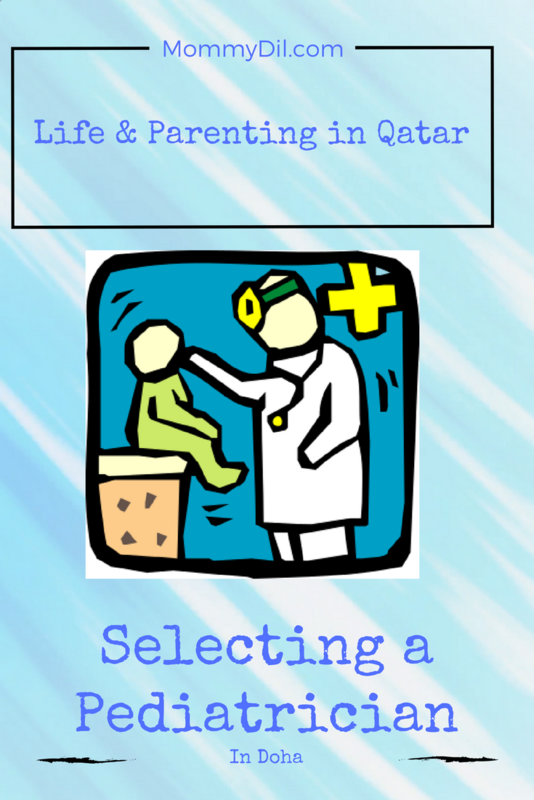 In Doha, you can get this done at the International Physiotherapy Center at Markhiya. Hopefully, one or more of these should help you get that fart out! Good one,I wish this will help my baby to get rid of gas issue .. !